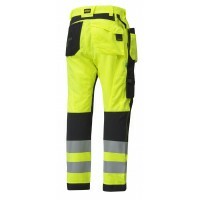 Snickers Hi Vis Trousers incorporate all the functional features of Snickers Workwear Trousers with the added safety of Hi-Vis stripes. 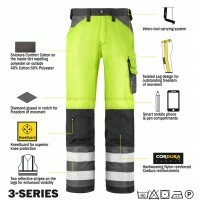 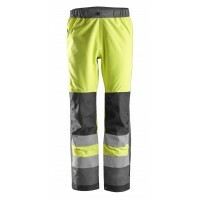 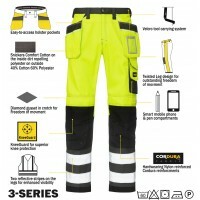 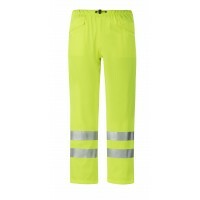 We stock Hi Vis Trousers in Class 1, Class 2 and Class 3 to suit the level of safety you need in work. 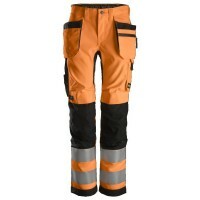 Each contemporary design is durable and comfortable, ideal for year round wear. 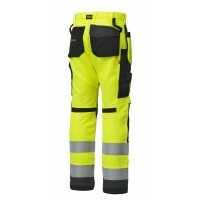 Our Snickers Hi Vis Trousers also feature advanced Twisted Leg design, guaranteeing ultimate freedom of movement. 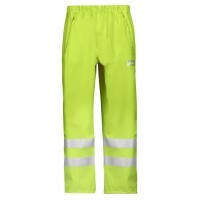 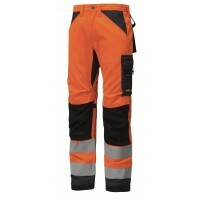 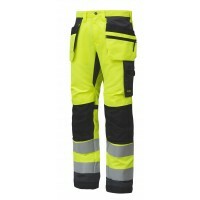 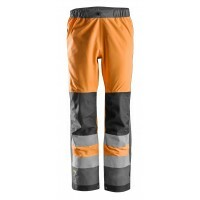 We also sell Snickers Hi Vis Trousers in both orange and yellow, so you can choose a colour to suit you. 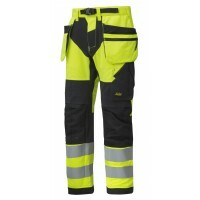 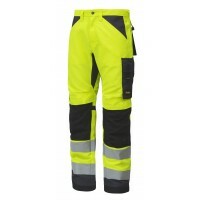 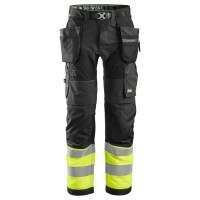 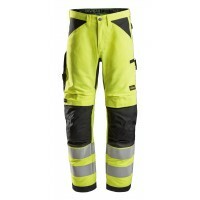 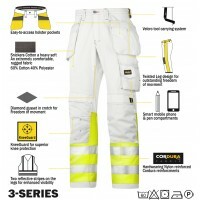 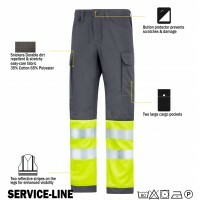 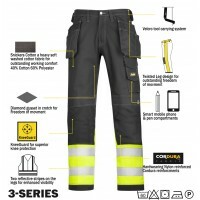 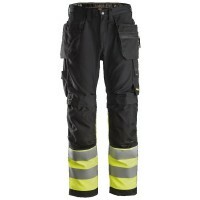 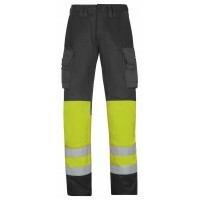 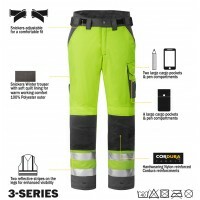 6233 AllroundWork, Hi-Vis Work Trousers+ Holster Pockets CL1Model: 6233 DescriptionHigh visibil..
Snickers 6730 AllroundWork, Women's Hi-Vis Work Trousers+ Holster PocketsModel: 6730 Descriptio..
Snickers 6931 Flexiwork High-Vis Holster Work TrousersModel: Snickers 6931 DescriptionThese lig..
Snickers 6932 Flexiwork High Visibility Trousers Holster Pockets+ Class 2 Model: 6932 Snickers De..
6332 LiteWork, High-Vis Work Trousers+ Cl2 Model: 6332 Description Light and cool..
Snickers 6230 High Visibility Trousers Holster Pockets+ Class 2 Model: 6230 Snickers Descript..
Snickers Workwear 3233 High Visibility Work Trousers 3233 SnickersModel 3233 SnickersDescript..
Snickers Workwear 3333 Hi Visibility Work Trousers Class 2Model: 3333 SnickersDescription of the Sni..
Snickers Workwear 3833 High Visibility Work Trousers Class 1Model: 3833 SnickersDescription of the ..
Snickers 3235 High-Vis Holster Pocket Cotton Trousers, Class 1Model: 3235 SnickersDescription of the..
6530 AllroundWork, High-Vis WP Shell Trousers Model: 6530 Description Shine brightly in t..
Snickers 6331 High Visibility Trousers Class 2 Model: 6331 Snickers Description of t..
Snickers 6900 Service Transport TrousersDescription of the Service Transport TrousersSuperior comfor..
Snickers 8243 High-Vis PU Rain Trousers, Class 2Model: 8243 SnickersDescription of the Snickers High..
Snickers 3234 Painter's High-Vis Trousers, Class 1Model: 3234 SnickersDescription of the Snickers ..
Snickers Workwear 3639 High Visibility Winter Trousers Class 2Model: 3639 SnickersDescription of th..
Snickers Workwear 9073 Hi Vis PU Rain Trousers Class 2Model: 9073 SnickersDescription of the Snicker..